One of our most memorable contributions came in the spring of 2016 when we volunteered to help with the refurbishment of a property featured in the BBC's flagship home renovation programme DIY SOS: The Big Build, presented by Nick Knowles. This particular project focused on a widowed ex-firefighter and his seven-year-old daughter, who were sharing a cramped caravan in the garden of their near-derelict cottage in Hopesay, south Shropshire, after a series of tragic misfortunes left them in dire straits. Having settled in with their young daughter Lucy three years previously, firefighter Joe Grafton and wife Jess, a primary school teacher, had been gradually renovating the property bit by bit to create their dream country home. 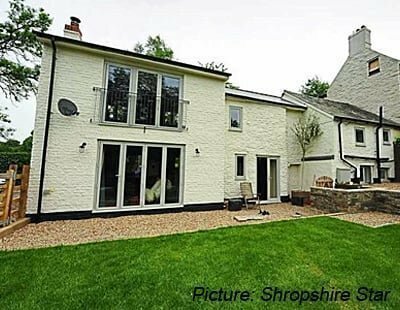 The family had moved from London for a new life in the Shropshire Hills - and Jess knew the village well, having spent many happy summers there as a child. Out of the blue, in April 2014 Jess contracted acute leukaemia over the course of a single weekend, and had to be rushed to hospital. Septicaemia swiftly followed, and she died in intensive care two days after diagnosis, aged just 39. The tragedy happened only a few weeks after Joe had been involved in a serious collision with another vehicle while driving a fire truck to answer an emergency call. Joe's back was injured, forcing him to give up his beloved job. Devastated, Joe and Lucy were left to cope without Jess as best they could in a house that was only half finished. Joe developed post traumatic stress disorder, but in the spring of 2015 decided to try and complete the renovation to create a comfortable home for Lucy. He cleared out the house and they moved into a tiny caravan in the garden while builders started work. However, problem after serious problem came to light - and when an unmapped 4ft stream was discovered underneath the foundations, the last of Joe's savings had to be ploughed into having it re-routed, bringing the project to a halt. Their home was left an empty shell, with only half a staircase, bare walls, no kitchen, bathroom or bedrooms, and nowhere for Lucy to play safely. The pair spent the winter cooped up in the cold, damp caravan with seemingly no way to make the cottage habitable. But in their darkest hour, members of the close-knit Hopesay community rallied round. 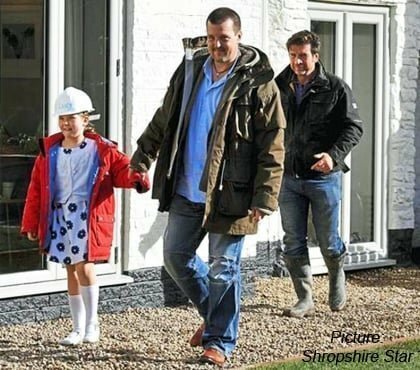 Joe and Lucy were nominated for a helping hand from DIY SOS by two concerned villagers who wrote to the BBC on their behalf. In February 2016, TV presenter Nick Knowles and an army of volunteers swept in and completed the renovation in just nine days, completely transforming the cottage both inside and out. 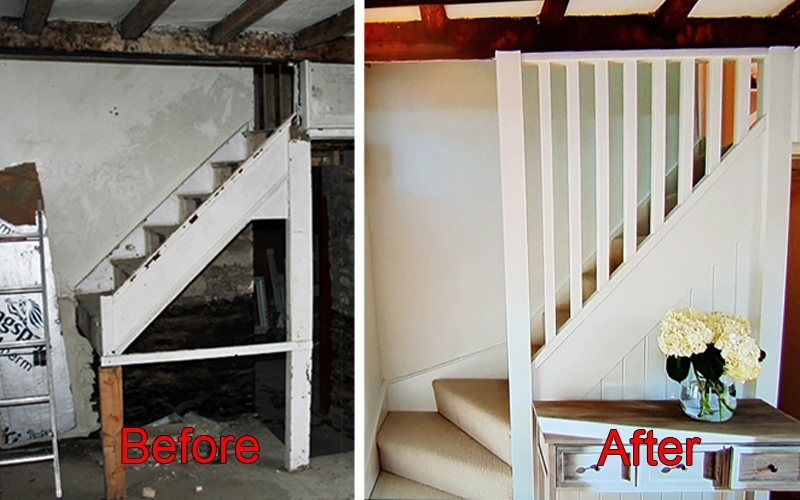 We at Pear Stairs were only too happy to contribute to the project by designing, building and installing a new staircase free of charge to replace the old stairs, which were too dangerous to use. Joe said he was overwhelmed by the response to his plight. He told the Shropshire Star afterwards: "It's just unbelievable. I kind of knew they would have repainted inside and done some things outside with the garden, but when you see the attention to detail and just how much they have achieved in just nine days, I'm staggered. It's totally awe-inspiring and it has restored my faith in humanity." Pear Stairs contributed to the hugely successful 2012 London Olympics by supplying staircases for the athletes village in Stratford, east London. 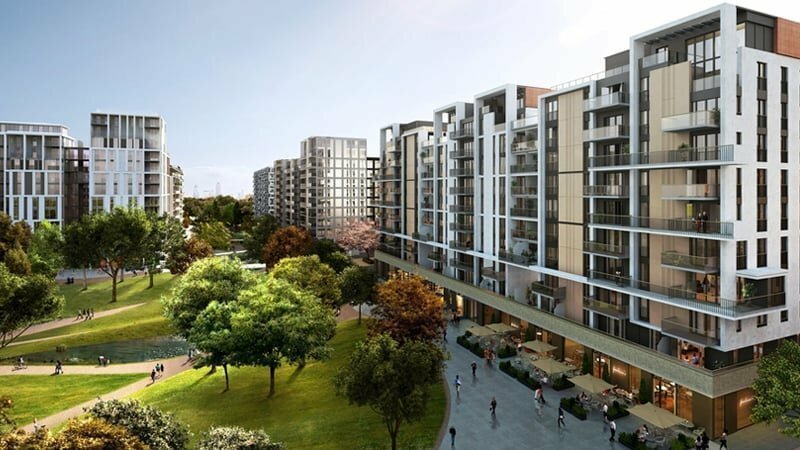 As a leading manufacturer in our field, selling hundreds of staircases a month right across the country, we were pleased to be involved in one of the most significant new urban developments to take place in the UK in recent times. 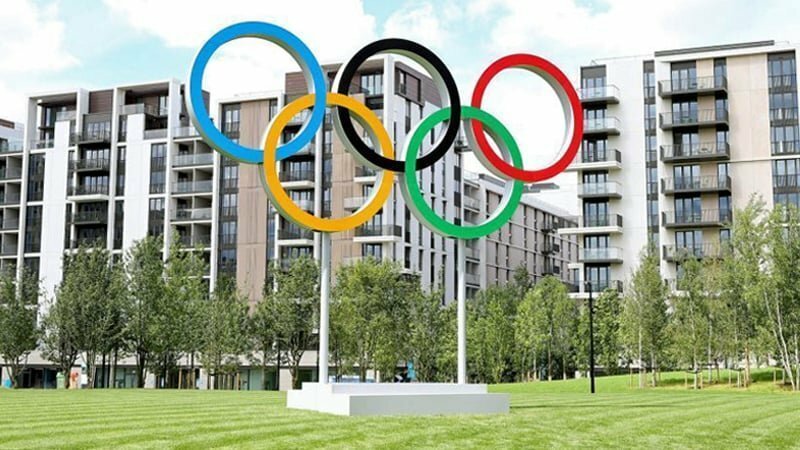 In the short term, the athletes village provided thousands of beds and dining facilities for competitors and officials during the London 2012 Olympic and Paralympic Games. Now renamed East Village, the area has been transformed into a lively residential community featuring new schools, community and healthcare facilities, a wide variety of independent shops and restaurants, and swathes of parks and open spaces - all located just a short train journey from central London. There are also excellent sporting facilities and a major new retail development, making the area a big hit with families.